It’ll be a short entry this evening, not because I have little to say about our trip from Lima to Paracus, but because The wi-fi connection is weak and likely won’t support picture upload. 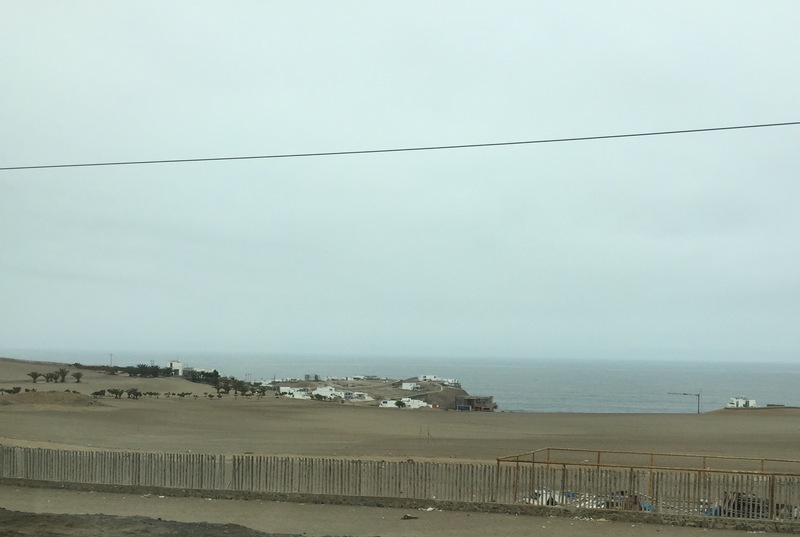 What I hadn’t realized before we set out on the drive south today was the Pacific coastal plane of Peru is desert! No rain, extensive sand hills all along the coast. It’s a barren, poor landscape dotted with communities of squatters in partially built dwellings and small “resort” settlements. We’d travelled more than an hour south before seeing any green and that only due to extensive irrigation (and I think the water comes from aquifers as well as from the Andes). 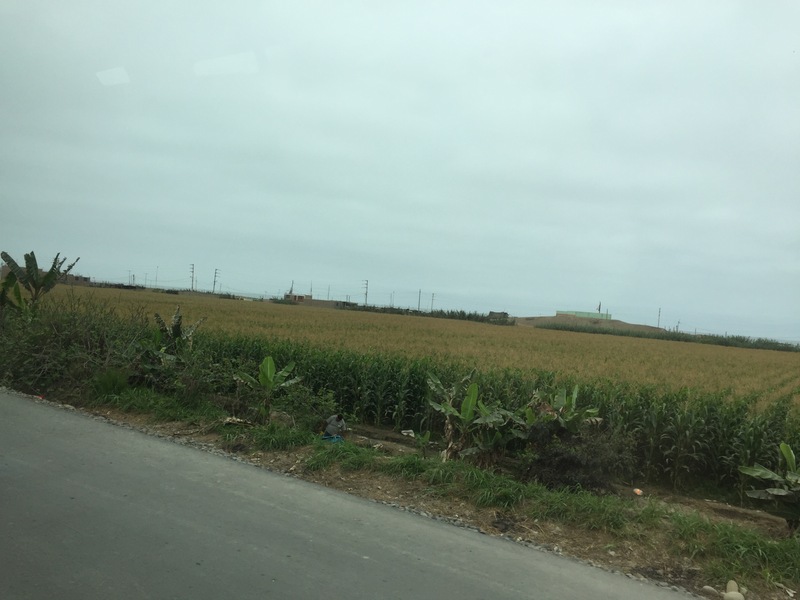 We saw maise, pumpkin fields in bloom, strawberries and several other crops being grown in this rich but otherwise waterless soil. 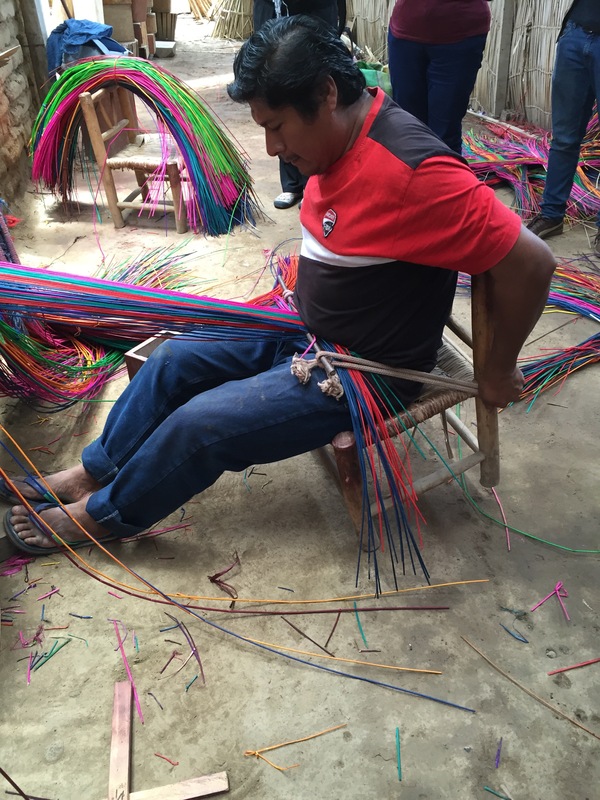 Our first stop was Chincha to visit a basket weaver. 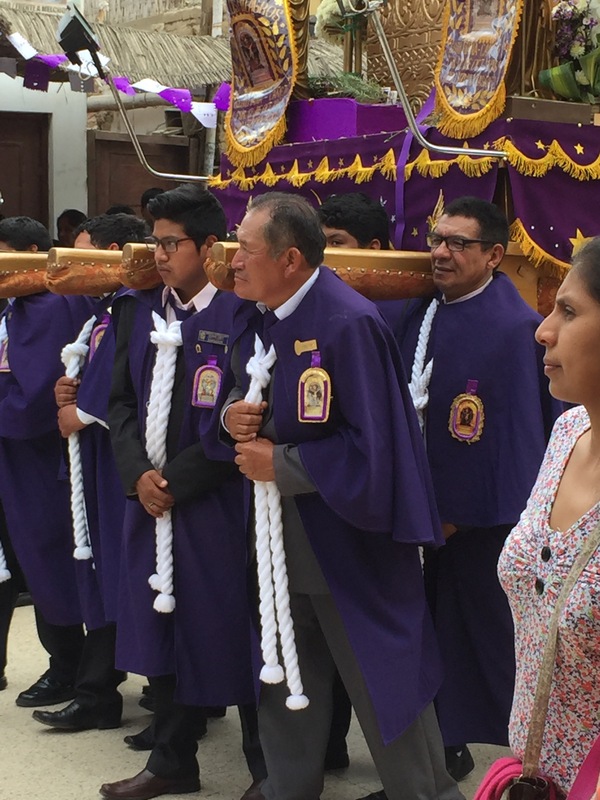 On our way to his workshop we encountered a religious parade replete with a shrine being shouldered by teams of young and old men in purple robes with white rope neck ties supported by a marching band. The band played for a couple of minutes as the men slowly moved the shrine a short distance down the street through the throng of people; then they lowered the shrine to permit people to approach the Saint for a blessing. Then the band resumed, the shrine hoisted aloft and the slow march moved the contingent a little further along. It was clear it would take a while for the shrine to reach whatever was its final destination. We watched for a short while then went around the corner to the basket weaver’s workshop. 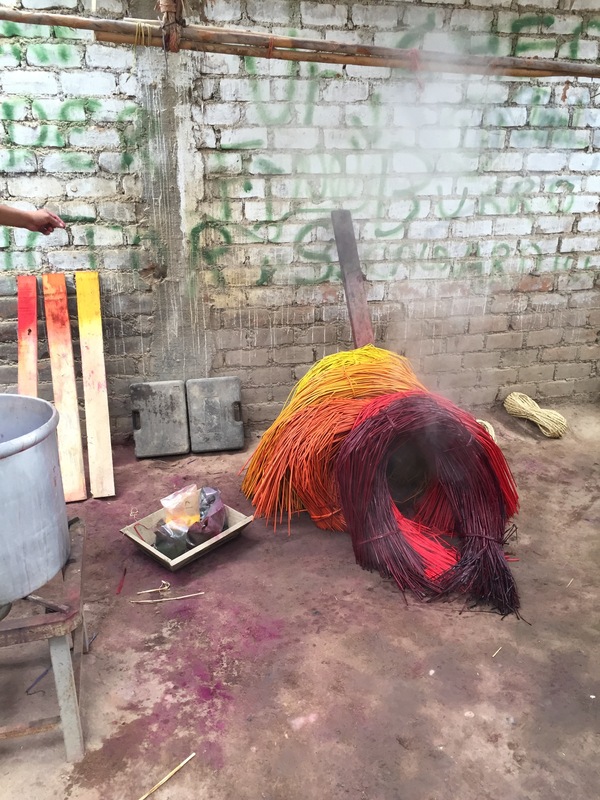 The artisan took us through his process for dying the reeds – first yellow, then pale orange, stronger orange, red, and last magenta. 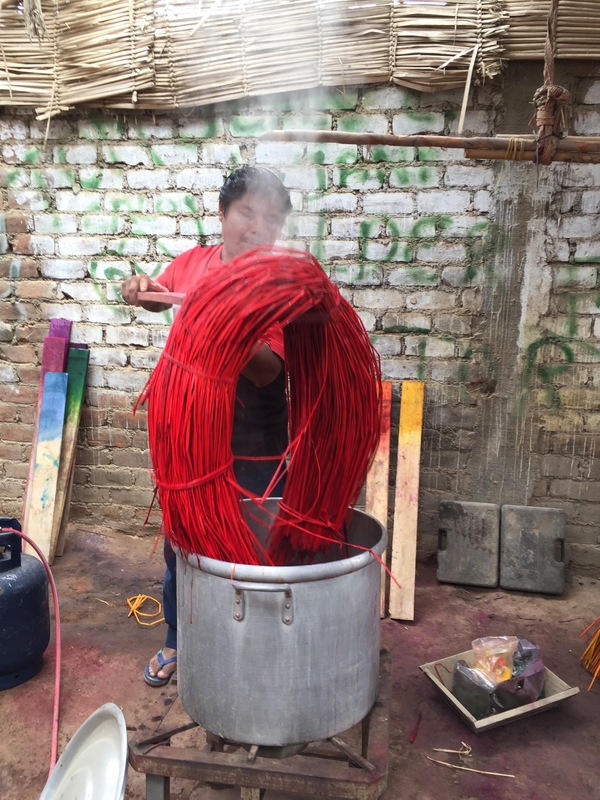 After each successive batch of reeds was placed in the boiling dye vat, stirred like spaghetti and lifted out, he added a bit more aniline dye to the dye mixture before adding the next bundle of reeds. It wasn’t long before he had an array of strongly coloured reeds he could use for the baskets. Next he demonstrated the actual basket weaving process. He started by taking each reed and tying it to the “loom” – two long boards, each filled with small closely packed nails, first one on the upper board, second on the lower board. Before tying each reed, he passed alternating reeds through an improvised bar of “heddles” made from wool loops – one through, the next outside that loop, until all reeds were attached. Then he wove a single weft reed to hold the warp reeds together where he wanted to begin the base of the basket, inserted a metal rod above that line, attached a harness to the bar and strapped it to the back of his seat in order to be able to use his body to apply tension to the warp and to be able to use the heddles to separate the warp reeds. He quickly inserted a bundle of four reeds, pushed it tightly against the tension bar, shifted the position of the heddles to alternate the position of the warp reeds, added another bundle of four weft reeds, again pushing that bundle tightly against the previous one – the whole process was a great improvisation of a fibre weaving loom! It didn’t take too many passes before he had completed his basket bottom. He weaves baskets in a variety of shapes and sizes and weaving patterns. As with all craft production, he doesn’t really earn much for his time. Although you might think his prices high you have to realize it probably took him a full day to make a medium size basket. 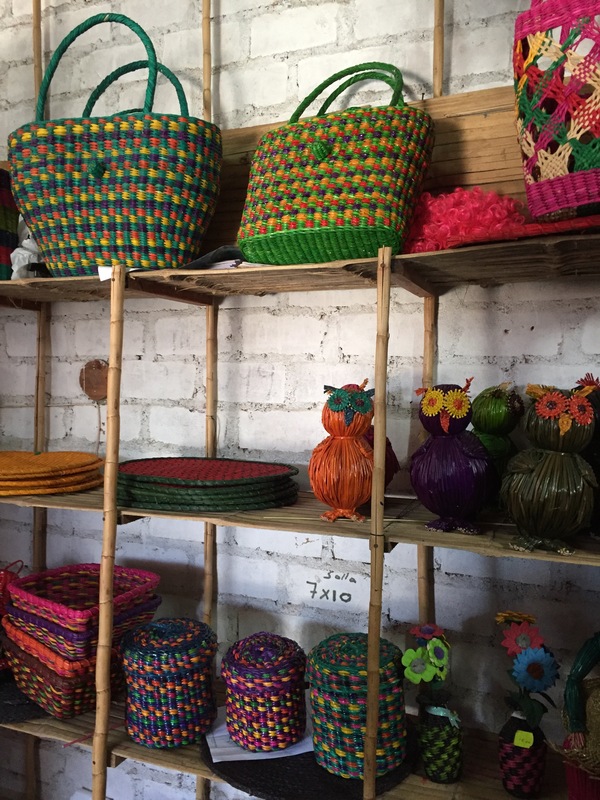 It’s a family business so he’s not the only weaver, but even with four or more people weaving, the time it takes to create these beautiful colourful baskets is substantial. 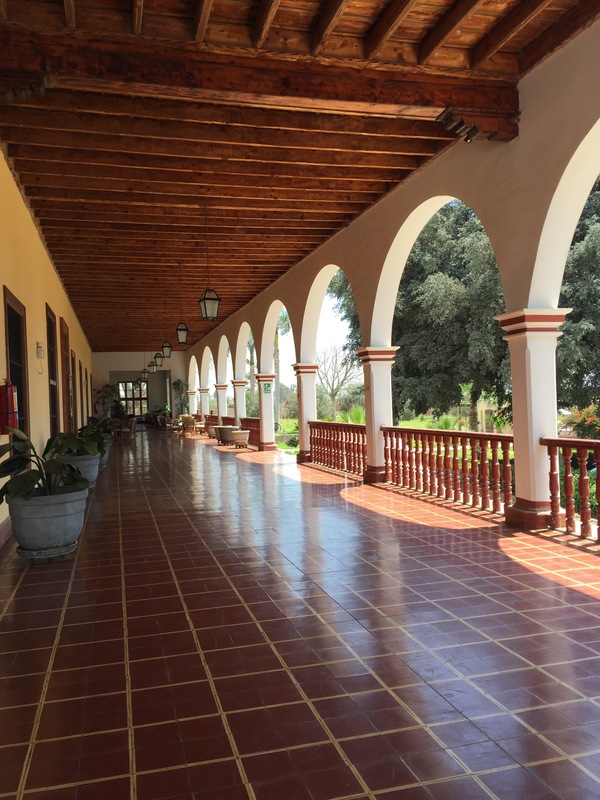 Our next stop was the San Jose Hacienda for a lavish, delicious buffet lunch of traditional Peruvian dishes, followed by some live musicians performing traditional Peruvian music. The Hacienda was originally a cotton plantation using slave labour. This huge homestead is today a destination for up-scale gatherings able to provide accommodation and meals for good size groups. After lunch we continued down the coast to Paracas where we are spending the night before heading into the Andes tomorrow. 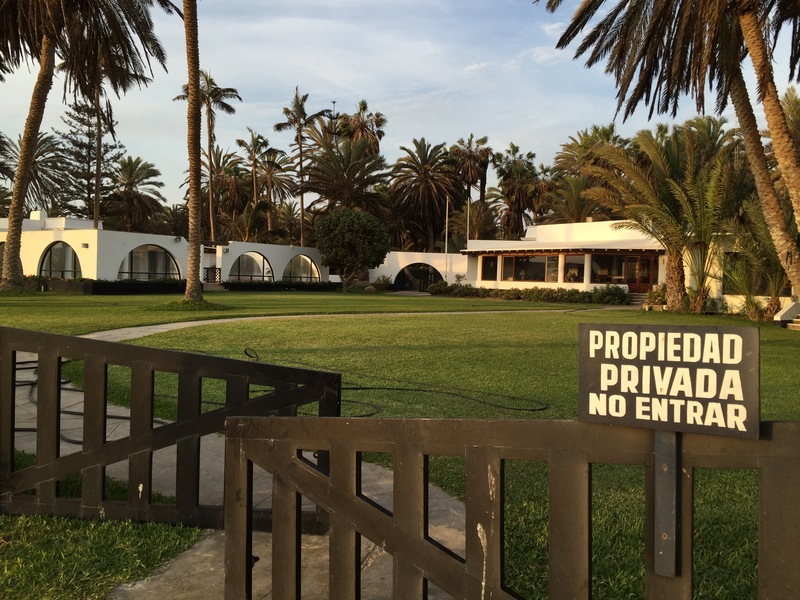 It was early enough when we got to the Hotel Condor (on the beach) that we were able to walk the beach boardwalk – where we discovered the first lavish homes we have seen in Peru. Obviously seasonal homes, currently unoccupied since it’s spring, but very well kept up. 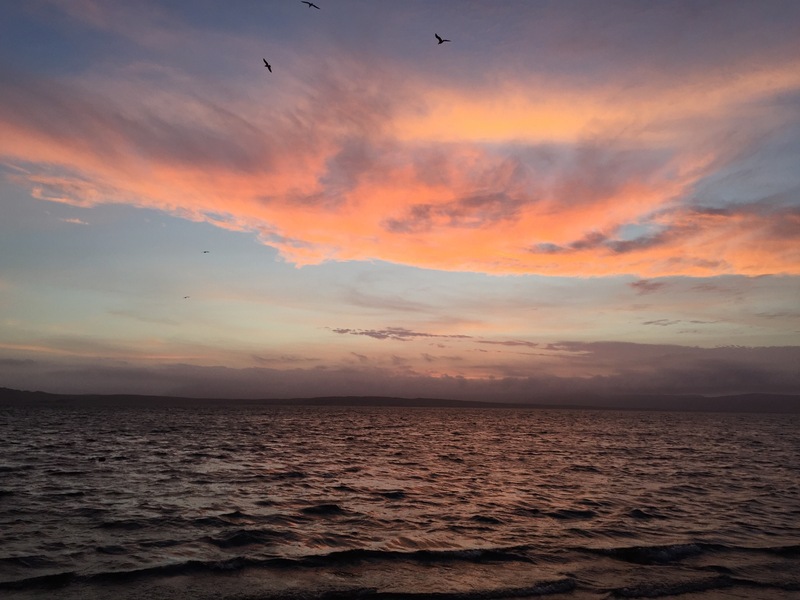 Our walk ended at sunset, when we turned around to head back to our hotel, a light bite to eat and off to bed. An early rise again tomorrow morning – it’s another lengthy drive up into the mountains to Ayacucho.